Systematically send customers to your review funnel by emailing or SMS texting them a short and simple question. From there, we route the happy customers to the review sites that you want to flood with positive reviews. Get a second chance (and gather valuable information about what your business needs to do better) with unhappy customers, by guiding they away from review sites, and towards an internal service recovery process. We increase the volume of your reviews by systematically asking, reminding and guiding your customers – in a way they are happy to respond to. We walk happy customers through the process with specific instructions for your chosen review sites. Increase trust on your website by automatically pulling all your latest 4 and 5-star reviews onto your website with our simple plugin. This will also help with SEO by providing search engines with a source of freshly updated relevant content on your site. Online reviews have such a powerful effect on potential customers at the moment they are deciding whether or not to spend money with your business. So your company's reviews are probably the single most important marketing tool that you can use. But, you can’t just hope and pray. You have to encourage your happy customers have to spread the good word about your company. More positive reviews and higher star ratings mean more customers – but how do you make that happen? The best review management system will increase the quantity and frequency of your positive reviews. We build you a review funnel that engages your customers in a way that increases the positive reviews for your business. Do You Have Bad Reviews? A Couple of Bad Reviews is Nothing to Fear. Every company will have an occasional unhappy customer. Our review management software allows you to communicate with a displeased customer so that you get valuable feedback and have an opportunity to make things right. This will increase your online reputation for great customer service. Additionally, using our review management platform, your company will have so many positive reviews. So even a handful of bad reviews will no longer have a large negative imact on your review and ratings profile. This is a quick demo of the different types of review funnels that you can choose to present to your customers. They are all specifically designed to seamlessly segment happy customers from unhappy customers. Then it directs any displeased people to a discreet conversation so you can resolve the problem privately and eliminate a poor review. All satisfied customers are guided through the friendly process of leaving your company a great review. Our review generation software is guaranteed to get your business more 5-star online reviews on sites that matter: like Yelp, Google, Facebook and more. Automated customer review campaigns, comprehensive review tracking and alerts, and a “review stream” that automatically publishes your latest and greatest reviews to your website and social media profiles. How prospective customers perceive you is vital to success. Our system makes it easy for your small and medium sized business to get great reviews from real customers. Generate loads of great reviews and manage your brand's reputation over your entire chain or multiple locations (franchise owners love our solutions). Comprehensive reports make it a breeze. Looking to expand your agency's services? Offer "My Positive Reviews" solution directly to your clients - using one of our brands, your own brand, or as part of a bundled solution. If you’re like a lot of small business owners, you probably feel like review sites aren’t an accurate reflection of your business. So an improved reputation on these review sites will bring you more customers. Step 1. First thing is to make contact in a really natural way with your customers. The day after someone visits your restaurant or clinic or hotel, we send them an email or text message, and ask a simple question – were they happy or unhappy with their experience? The system then guides your customers in one of two directions based on their answer. Step 2. If customers rate themselves as unhappy we send them to a simple page that asks for more information about why they are upset. Then you can use this information to follow up, via email or phone and try to “recover” this customer before they go online to complain. Step 3. When customers rate themselves as happy, we send them to a page with a link to your preferred review sites and ask them to go and leave a review. Typically, happy customers are not motivated, or don’t think of writing reviews, but when asked, many will gladly share their positive experiences online. The rate of reviews for your business typically triples – and because we are encouraging all the happy customers to leave reviews, your star rating on sites like Yelp starts to climb. 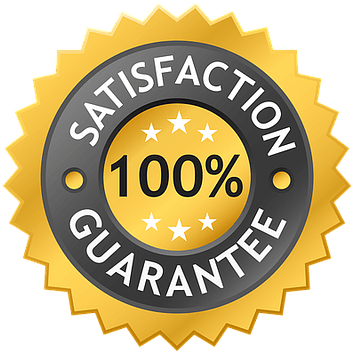 You’ll be able to convert your satisfied customers into positive reviews on Google, Yelp Facebook and many more review sites – including smaller industry specific review sites. You’ll be able to recover an unhappy customer early and remedy the problem. Then you prevent negative reviews and damaging word of mouth. You’ll be able to monitor your customer reviews on over 45 review sites from a single easy to use dashboard. But most importantly, you will gain vital business intelligence from your unhappy customers. You’ll uncover problems in your business and capture breakthrough insights that can lead to massive growth. When people are reading review sites they are at the critical moment of deciding whether or not to spend money with your business. The best way to prosper from review sites is to flood them with positive customer comments. This has the effect of burying any negative reviews and it creates a glowing impression, including a very high rating score, to be seen by potential customers scanning your reviews. It’s reasonable to expect this system to make a significant difference in the success of your business. If you think a robust feedback and review system like this could help your business, then click the button and let’s get started. P.S. Having a hard time getting real positive reviews for your business? Frustrated that a handful of unreasonable customers bashed your business online? Sick of looking at two or three measly stars, knowing your great service deserves much more? We fix all that. Our review management software platform helps you get great 5 star reviews on Google, Yelp, Facebook, YP, and more. Click here to sign up today — why wait to start reaping the benefits of smarter, more effective brand building and review marketing? What is "My Positive Reviews"? "My Positive Reviews" helps you gather feedback from your customers and post that feedback in the form of positive reviews to popular review sites. The result is more reviews, higher ratings and ultimately more customers for your business. Must I install software on my computer? No. You access "My Positive Reviews" using secure login to software located on our servers. So it's compatible on any computer device with internet access. Isn't it easier to just buy reviews? DANGER: Do not buy reviews. Repeat: do not buy reviews. Besides being dishonest and possibly fraudulent, faking or buying reviews is a bad idea for your business. Many review sites actively punish such behavior. The end result will be that any fake reviews will cause consumers to distrust your business, and generate irreparable damage to your online reputation. It’s just not worth it. Besdies, you don't need to - our system gets real ones! By increasing the number of reviews and the rating score of your business, you create a more positive reputation for your brand. Google sends massive numbers of people looking for businesses like yours to review sites such as Yelp, Facebook, TripAdvisor and many others. "My Positive Reviews" improves your reputation at these sites (and any others you choose to target) by getting more reviews. This influences potential customers in a positive way when they are deciding which business is best for their needs. How does the system help me get positive reviews, but not negative ones? "My Positive Reviews" provides a funnel through which all your customers are encouraged to provide feedback through a simple interface of your choosing. The system then asks unhappy customers for a second chance to redeem your service prior to posting a negative review. Happy customers are led through the process of posting their positive feedback on any of the review sites you prefer. No. Our online reviews system provides you with a customized landing page on our site that you can use to start the review process. You can also use My Positive Reviews in Kiosk mode by providing an iPad or tablet computer at your establishment that customers can use to leave reviews. If you want to build a website, however, let us know. We can help with that too. I already have some bad reviews, can your system help me? Yes! The best way to get rid of bad reviews is to get a lot more positive reviews. So the greater number of good reviews your company has, the strength of any poor review decreases. "My Positive Reviews" will help improve your overall rating and online reputation by getting a flood of great online reviews - enough to suppress bad reviews. Can I upgrade to a more advanced package later? Yes. You can upgrade to the Advanced or Multi-Location package at any time by contacting our support and requesting an upgrade to the appropriate package. Coupons for lower plans are generally not applicable to the upgrade. For your convenience, we accept Visa, MasterCard, American Express, and Discover Card. We only accept payments online, which secures your data using SSL payment transactions processed with Stripe. Yes, if you don’t think My Positive Reviews is right for your business, for any reason, simply let us know and we’ll refund 100% of your current month’s fee. No hassle, no bother. Ask and you get you current month’s money back. *No fine print! No, never. All our billing is month to month and you are free to cancel at any time. Once you start getting great positive online reviews, and improve your online reputation, you'll surely want to stay with us for the long haul. Disclaimer: Of course MyPositiveReviews.com is the most effective review management software platform available. But this site is not affiliated with or endorsed by Google, Facebook, Yelp!, or any other search engine or review site.